Another gun related story Trump said the NRA has "great power over you people", but that the lobby has "less power over me". Wow - full blown Spence segue, take something very crazy then broadbrush a lot of others immediately after. Did you read the article? Moonies. Ever hear of them? Jonestown without the Koolaid. This is a crazy stylized foolish ceremony (btw - very Russian like) that is in the realm of beyond crazy almost to trying to catch a comet by its tail crazy. 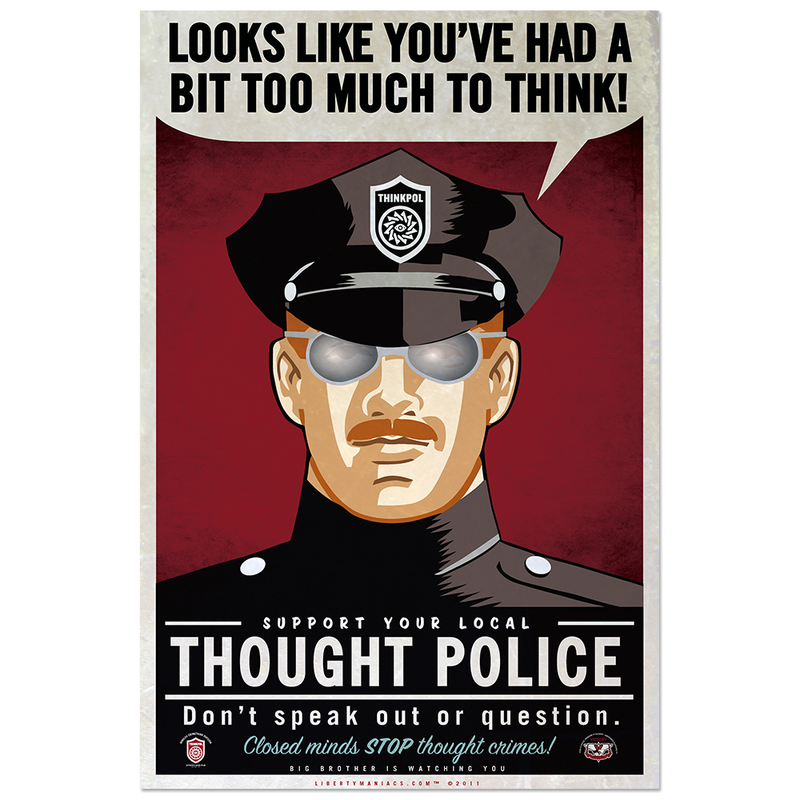 You are real near thoughtcrime, TDF. take something very crazy then broadbrush a lot of others immediately after. Like that doesn't happen here all the time. Be part of the solution or the solution will be made with out you.. I am not anti gun I am anti the 2a guys say I can have what i want when I want it . ( and why should I have to wait 1 day or 30 days to buy a gun or are against Gun Registration .. or pay for your own background check or have a different class licenses for fire arm Classes.. we do it with a drivers Licenses for things from buses to tractor trailers . it works why not with guns ? Laws requiring gun owners to register their firearms ensure gun owner accountability and help law enforcement solve crimes and disarm criminals. Despite the clear advantages inherent in registration laws, few states have such laws on the books—and some prohibit them outright. Last edited by wdmso; 03-01-2018 at 11:11 AM..
My point is simple theses are the people that set the public face to the gun issue ..
the people you keep arguing with are the ones that are trying to set the public face of the gun issue, but they seem to get ignored, or lumped in with these morons. Normal 90% of gun owners are invisible to the public..but but they seem to get ignored yes by the NRA who speaks for them even if they dont support the message.. they are the only Show in Town . Should people who work in unionized shops but don't support the union who supposedly speaks for them by negotiated contracts be listened to? So now you get to define these people, speak for who they are? Your hyper-judgmental portrayal of them is as outlandish as you make them out to be. How do you know that 90% of gun owners don't agree with the NRA? Do you just make this stuff up? Everyday Christian American life, getting ready to deal with Muslims. So they have fake news too? In the early 70s I was working at Killington. It was a terrible snow year. Skiing with a friend of mine and we decided to make up a snowstorm. Everytime we got in the liftline we talked about this big dump that was coming. By the end of the day everyone was talking about how it was going to snow 3' starting that night. People hear what they want to believe and if it is what they would like will broadcast it far and wide. Back then we called it bull#^&#^&#^&#^&. "Should people who work in unionized shops but don't support the union who supposedly speaks for them by negotiated contracts be listened to?" I'm just gonna make some popcorn and open a beer, and wait for him to respond to that one. Depends. They have a right to voice their opinion and even vote out the union membership. When Exxon Mobil or GE sends me a proxy and I don't vote the way they recommend, are they listening to my vote? Sometimes company heads ignore votes that get greater than 50%. If I own shares, I am an owner. No - this is what a lot of people WANT to believe 2A supporters are. The same people that can't figure out how dialogue between both sides breaks down so fast (OK - they are not surpised, probably welcome it. "We are not going to take your guns"
Then proposes legislation banning pretty much anything not a lever action. Ahem, I'll repeat; "We are not going to take your guns"
Then proposes legislation banning pretty much anything not a lever action or powderloaded. Because Driving is a Privileged, not a right. Being reported how we are, yes. But give me examples of how it is the same the other way?? Unions, companies, churches etc. shouldn't be allowed to make political donations. What legislation are you talking about? Never heard of it. I was recently thinking that I would support that kind of thing. I would want none of the bs pelletized powder garbage they use today. When I was a kid we would shoot my dad's musket. Ram the paper wad down the barrel, drop in a lead ball. Now that took some skill. None of the bs rifling that makes it go straight so anyone can shoot. Took instinct, intuition to get it where you wanted it. Would put everyone on equal ground. Equal ground huh? Kinda like fish finders and side scan? Life is about choices, you choose to challenge yourself your way and I’ll do it my way. “They” are only going to take something if we allow it. They certainly are trying, been chipping away at infringing for close to a century. Is your question on militia just you thinking out loud or are you actually asking? I figured you know the wording of militia means the people, and that includes you. I just read the bill. I don't see anything in it about lever action, black powder, any of that stuff. I want more challenge for the guy in the hotel window in Vegas or in the first grade classroom. I forgot to mention flints. Everything should be flintlock. That is all that is left. They statement indicates anything semi-automatic, hand gun or rifle, not a 22. Last edited by scottw; 03-02-2018 at 07:08 AM..
A Twitter poll? Now that is scientific! I don't particularly agree with everything in the bill, but the way it reads, you could purchase a semi automatic rifle with a fixed magazine that holds 10 rounds. That isn't a flintlock. By the way, one of the arguments against magazine size limits is that they don't change anything. You can duct tape a couple together in opposite directions and pull it out and flip it in two seconds. Fixed magazine does address that aspect.